I am guilty of kili-kili abuse. The reason why I seldom wear sleeveless tops (aside from my visible shoulder bones which I hate) is because I seldom shave. Okay, secret's out. Haha. I don't touch my armpits because I don't want it to darken. I don't pluck or wax it (makes the skin sag) or I don't do hair removal shiznits. I just shave it. Sometimes. Like 2-3x a month. I am going to try the IPL thing of YSA very soon, though! Anyway, I was also super scared to use deodorant everyday because someone told me it darkens the skin underneath. Don't worry, I don't have putok or baktol. I police my armpit. Hahaha. But the deodorant application thing changed when I discovered Dove. It's super lightweight, moisturizes, softens, smells really nice and is super gentle to the skin. It was also super effective during that one time I was rushing & I shaved my very dry armpits ending in catastrophe. My armpits got scarred for 2 weeks! I used Dove everyday and it went back to normal. Whew. Dove Deo has ingredients that makes creation of new cells faster. So stock up on Dove Deo to get that summer-ready underarm! More, more sleeveless na girl! 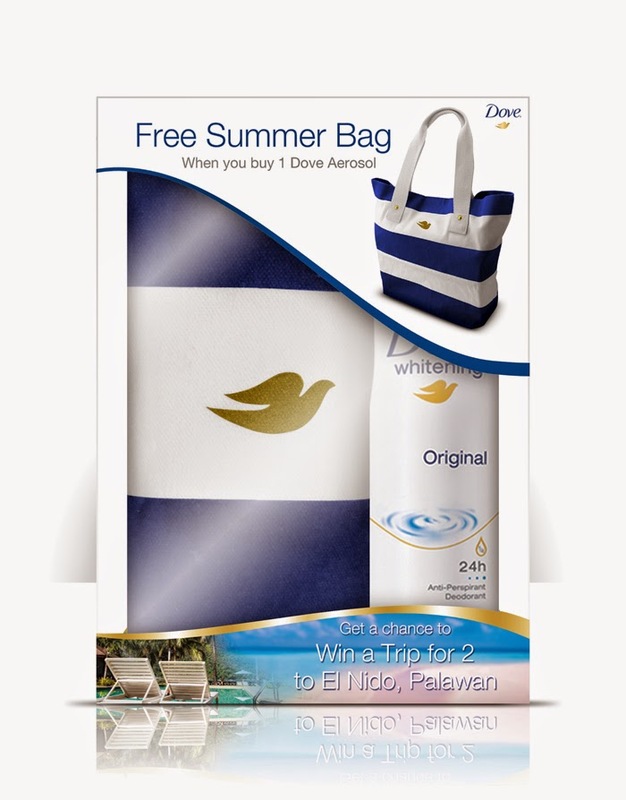 :) Here are photos from the DOVE Summer-Ready Launch at Manila Polo Club last week! DOVE Brand Manager with event host, Saab Magalona! The newest Dove girls attested to getting beautiful, whiter underarms with Dove Deodorants. These include blogger and singer, Saab Magalona, singer and musician, Kiana Valenciano, blogger and aspiring fashion designer, Dani Barretto, makeup maven Sabs Hernandez and beauty blogger, Angela Nepomuceno. 2nd station: DIY station with Kiana Valenciano! Lovely girl and love her outfit! There was scarcity of glue so we just made our tanktop designs quick & easy! I'm not super artistic but I got compliments on this one! Proud ako hahaha. We got the Cucumber one! So yummers. 4th station: Dove Deo demo with Sabs Hernandez-Dyliacco of The Makeup Maven! Demo on how DOVE erases dark spots and renews the skin. SOLD. 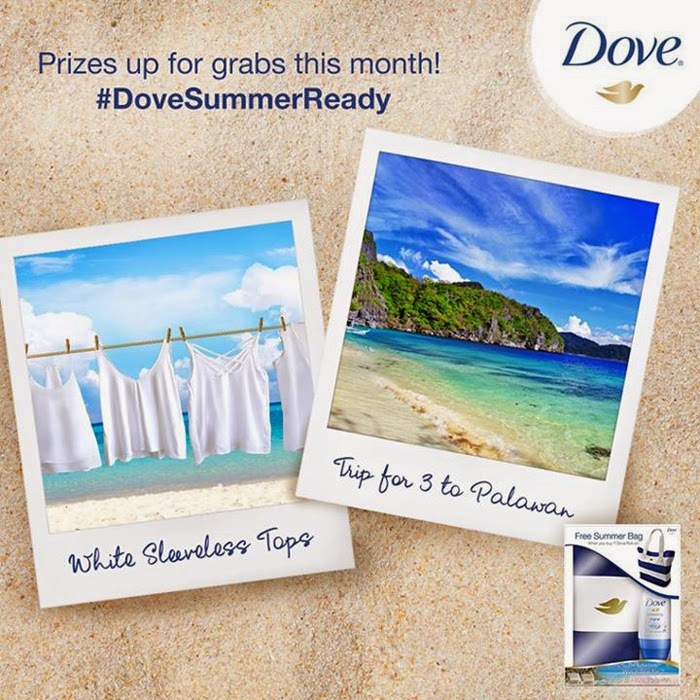 Just buy the Dove Deo Summer-Ready Box, and text the promo code found inside the box to 2600! It also comes with this cute nautical bag!